Mt. 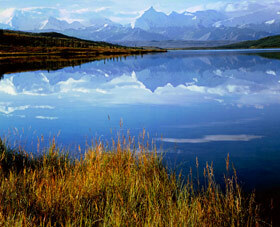 Brooks, Brooks Range, Denali National Park, Alaska, 1971 by Philip Hyde. This photograph Philip Hyde made with the same tripod setup as his horizontal of "Mt. Denali, Wonder Lake." After he triggered the shutter on the Mt. 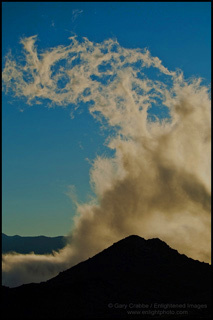 Denali image, he swiveled the camera about one frame's width to the left and made this photograph. Edward Weston used to do this too. Actually, the two Philip Hyde Alaska photographs overlap. David Leland Hyde at age six was present for both on this rare sunny day in Denali National Park. This digital image and the prints made from it so far were from a flatbed Creo scan of a dye transfer print. You would think that scanning the print directly would cause the scan to match the dye transfer print. However, this image took more photoshop work to match the color balance, contrast and other qualities, particularly the sharpness of the original print than did "Mt. Denali, Wonder Lake, Alaska," which we drum scanned from a transparency. Recently we made a drum scan of the original transparency of the photograph above, "Mt. Brooks, Brooks Range, Alaska." The resulting file will help assure that future large archival fine art digital prints of this photograph will maintain Philip Hyde's high standards of sharpness, detail and color fidelity. 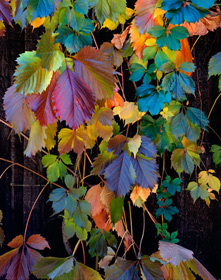 PHILIP HYDE: I have always wanted to interpret and express the beauty of what I see in nature. 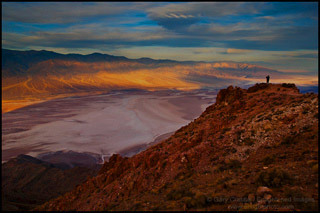 My major objective is producing a print that, as Ansel Adams says, carries out the score of the negative. So I orchestrate the dye transfer process to produce a print that conveys the colors and beauty of the original transparencies. Sometimes getting everything just right can be very time-consuming. DARKROOM PHOTOGRAPHY: Are you ever tempted to go back out into the field and let a custom lab do the darkroom work for you? PHILIP HYDE: No…it would be very hard for me to sell a print made by a lab as my own work. That’s really why I’m doing dye transfer printing, because I can carry the process all the way from start to finish. I make the print the way I want. Also, there’s a cost factor. A single dye transfer print from a custom lab costs $200 and up. DARKROOM PHOTOGRAPHY: You mentioned before that the longevity of the dye transfer process appealed to you. How long do you expect your prints to last? PHILIP HYDE: Well, that’s hard to say; hundreds of years I’d hope. The nice thing about dye transfer is that not only is the final color image quite stable, but the intermediate films, the separations, which contain all the color information, are actually black and white. So a basic record of the color image exists on black and white film, which, if archivally processed and stored, can last for thousands of years. That’s more than permanent enough for me. Another reason I’m into making dye transfers of my transparencies is that I have to send out my originals for reproduction in books and magazines, and they are often returned after reproduction with thumbprints or dirt all over them. If I’ve made dye transfer separations beforehand, I’m protected. DARKROOM PHOTOGRAPHY: How did you first get interested in photography? PHILIP HYDE: When I was 16, I went backpacking in the Sierra with the Scouts. I took a folding Kodak with me, and I got hooked on it. I guess it’s just like falling in love with anything. When I sent the films to the druggist, I thought the results were completely inadequate, so at age 17, I set up a darkroom and started working. Though I now work in color, most of my early work was black and white. 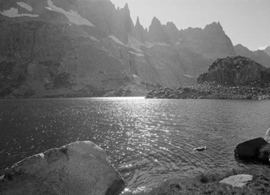 DARKROOM PHOTOGRAPHY: Over the years, you’ve collaborated with the Sierra Club to produce books that have been instrumental in saving wildernesses, books like Slickrock, about the southwestern Canyonlands, and Alaska: The Great Land. How did you first become involved with the Sierra Club? 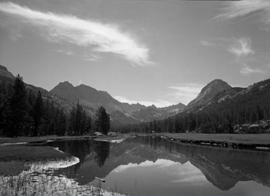 PHILIP HYDE: When I returned to San Francisco from the service in 1946, I enrolled in Ansel Adams’ new photography program at the California School of Fine Arts now the San Francisco Art Institute. I became interested in what the Sierra Club was doing at that time, so Ansel introduced me to Dave Brower (then Sierra Club Executive Director), and that was the beginning of a life-long relationship. DARKROOM PHOTOGRAPHY: Do you ever think of retiring from photography? PHILIP HYDE: I can’t think of what I’d retire from, or for, or to. It disturbs me to slow down when there’s so much more to be done. Imogen Cunningham is a wonderful example—she just kept on being a photographer until she faded away. That’s a great way to go. Richard Wong asks about the business and creative side of Philip Hyde Photography and the representation of Philip Hyde in the digital age and beyond. 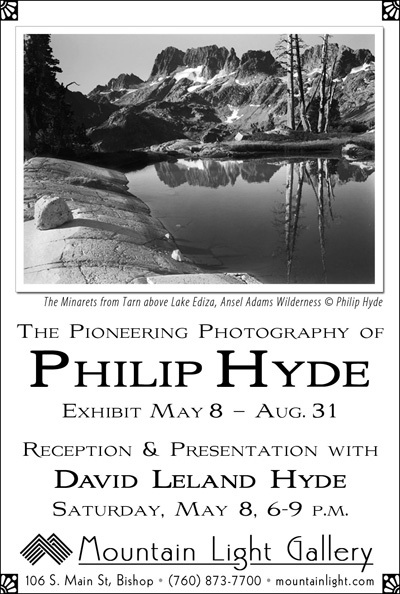 Also a behind the scenes look at upcoming and ongoing events such as the Philip Hyde Exhibition at Mountain Light Gallery. 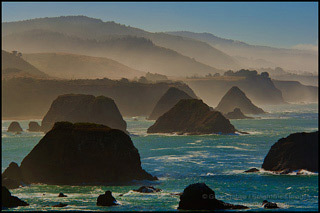 Read the Richard Wong Interview on his Field Report Blog, go here: Son of Environmental Photography Pioneer David Leland Hyde Interview.